Search Spruce Cliff Public Schools directory Calgary: Research Spruce Cliff Public & Catholic schools Calgary, new Spruce Cliff public & catholic school openings & Spruce Cliff Schools closed on Wednesday, April 24th 12:22am. Moving your family is a challenging time, especially when relocating requires your children to change Calgary schools. Search Spruce Cliff elementary schools, high schools, public schools, churches, community centers. Research Spruce Cliff real estate statistics, real estate agents, REALTORS® & homes for sale in Calgary on April 24, 2019. Currently there are 53 active listings in Spruce Cliff average asking price of $529,926.87 highest price property $1,299,888.00. Currently 16 properties include Attached Homes, Detached Homes, For Sale by Owner, Luxury Homes plus 37 Condos For Sale, Townhomes, Rowhouses, Lake Homes, Bank Foreclosures. "We worked with Travis on buying our first home and he was a great real estate agent throughout the entire process. From really helping us dig down to figure out exactly what we wanted in a property to helping us negotiate a final selling price we were thrilled with, we couldn't be more pleased with Travis' service. 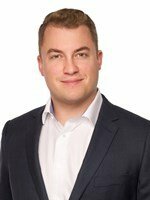 I would definitely recommend him for first time home buyers as he knows the communities and markets inside and out." "We had an excellent experience with Travis Munroe as a Realtor as he was extremely helpful in helping us find the condo we recently purchased. Not only is Travis very knowledgeable about the Calgary area real estate market place, he is also very organised and skillful in all aspects of his profession. Although it took a few months for us to find the "right" place, never did Travis try to speed up the purchasing process by proposing a location that wouldn't in his mind be the perfect one for us. I rarely (if ever) give such a glowing evaluation but I sincerely feel Travis has earned this one and would in a heartbeat recommend him to friends and colleagues."